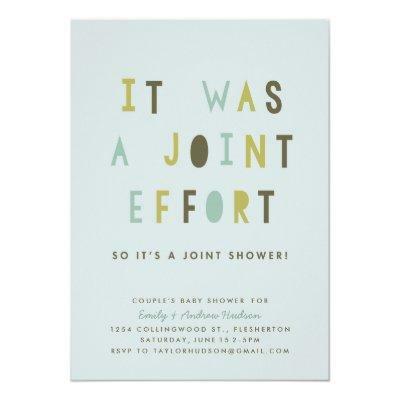 A fun, humorous invitation for a couple&#;s baby shower this invitation features quirky, multicolour text on a pale aqua background. Plenty of space to customize with your event details. Other colours available.